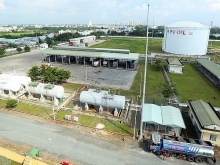 Nghi Son Refinery and Petrochemicals LLC (NSRP) in the central province of Thanh Hoa introduced the first batch of petrol A95 on May 8, the third commercial product produced by the plant, following gasoline RON 92 and Benzen. The batch has been distributed to its partners for domestic consumption. The refinery plans to launch more commercial products, such as liquefied petroleum gas (LPG), diesel, kerosene, jet fuel, para-xylene, polypropylene and sulphur, in the coming time. It launched the first shipment of gasoline RON 92, which also serves the Vietnamese market, last week. The Nghi Son Refinery, based in Nghi Son Economic Zone in Thanh Hoa, has total investment of nearly US$9.3 billion. It is a joint venture of four internationally reputed corporations, including the Vietnam Oil and Gas Group, the Kuwait Petroleum International, and the Idemitsu Kosan Co. Ltd and Mitsui Chemicals Inc. of Japan. It is the second oil refinery and now the largest of its kind in Vietnam. The construction of NSRP began in October 2013 and finished in April 2017. Since then, NSRP has been commissioning almost 3,000 systems in the refinery for almost a year, with over 1,000 employees, both Vietnamese and international, working full-time on site. In the first phase, the refinery is set to process 200,000 crude oil barrels per day, equivalent to 10 million tonnes of crude oil each year, almost doubling the capacity of the country’s first refinery – Dung Quat in central Quang Ngai province. World-class technology in the refining industry has been applied to operate this complex refinery. 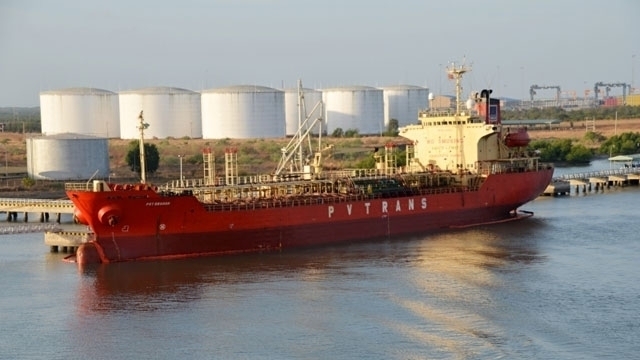 Crude oil was delivered from Kuwait on a number of large crude carriers arriving for the first time in Vietnam, unloaded at a delivery point 35km offshore and then transported through a pipeline to the refinery for processing. The products of NSRP will be mainly offtaken by PetroVietnam (petroleum products) and some major international offtakers (petrochemical products). NSRP, a project of national importance in the petroleum sector, has received strong support from the Vietnamese Government as well as the authority and people of Thanh Hoa Province. 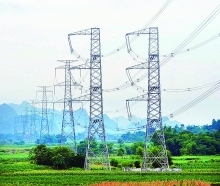 The development of the NSRP Project and its need for many supporting industries and services has also had a positive impact on the economic developments in Thanh Hoa and other areas in Vietnam. In fact, many businesses have set up facilities in Thanh Hoa to cooperate with NSRP on a long-term basis. Products of the plant are expected to meet 40 percent of domestic gasoline and oil demand.